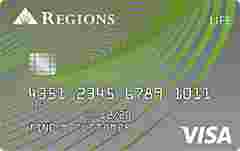 Regions Life Visa Credit Card is typically available to those with good credit scores (650 or greater). We believe that this card is best suited for a Regions Bank customer who has high-interest balances on other credit cards and wants a no annual fee option that can save them money on interest payments. Intro rate applies on balances transferred within the first 60 days of account opening.